If you’ve got old batteries, we’ve got good news. Whether you live in an apartment or house, it’s never been easier to safely recycle small household batteries in San Francisco. All batteries contain toxins that can contaminate soil and water, and when damaged or improperly disposed of, they can even start fires. Which is why old batteries should be recycled, not trashed. Don’t drop it. Top it. 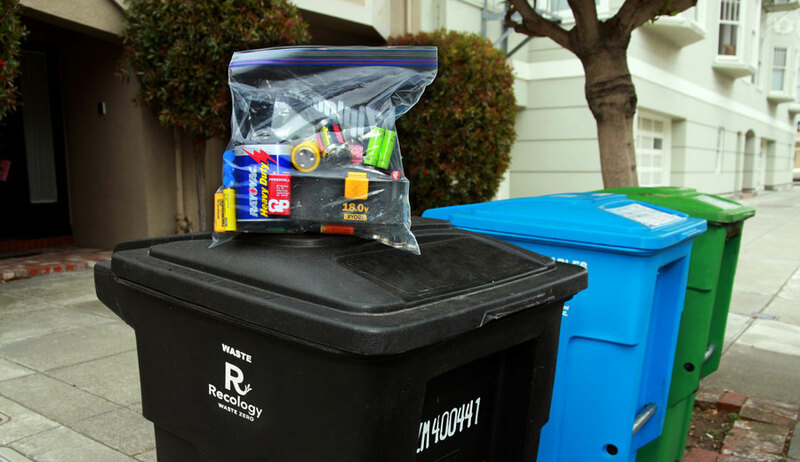 If you live in a single-family home or small multifamily building (under six units): Put loose batteries into a clear plastic bag and place on top of your black bin on collection day. 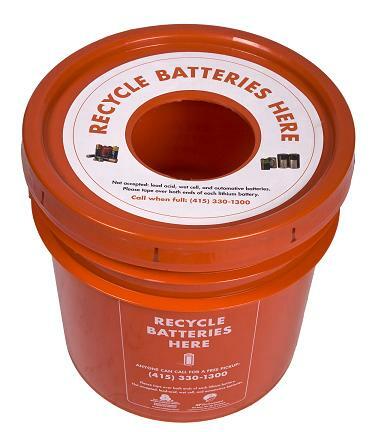 If you live in a building with six units or more: Place loose batteries in the orange battery collection bucket. Ask your building manager where to find yours. 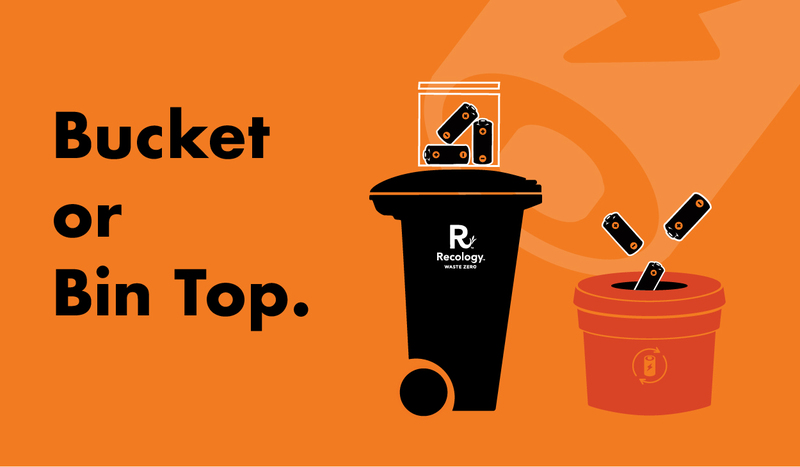 If your building doesn’t have an orange collection bucket, your manager can order one—for free—by contacting Recology at (415) 330-1300. Please take special care with Lithium batteries. These batteries, which are often the rechargeable kind, are stamped with “Lithium” or “Li” or “Li-ion”. Please tape over the ends of these batteries before recycling. Left uncovered, they can cause fires if they come in contact with other batteries. Has Your Battery Been Damaged? Batteries that are bulging, corroded, leaking, or showing burn marks can also cause fires. Call 415-330-1405 or 415-355-3700 for special instructions. Do NOT place on a bin or in a bucket.